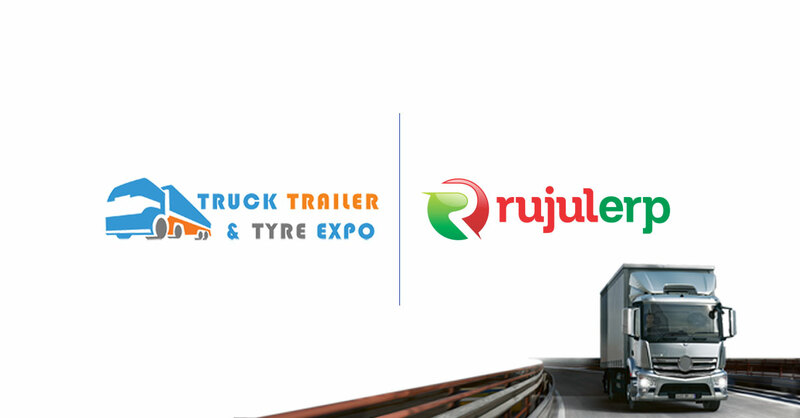 The Truck Trailer and Tyre Expo 2017 held at Mahatma Gandhi Convention Centre in Gandhi Nagar, Gujarat was a grand success. Companies from India and around the world gathered for the 3-day event to showcase their products including trailers, truck tyres, fabricated parts, lubricants, etc. This event acts as a bridge the buyers, manufacturers, and sellers and brings them on a common platform. Some of the top companies participated to showcase their products and solutions. Panel discussions by the industry experts were highlights of the event since they discussed the future of the logistics industry amongst other things. GST was also a hot topic in the discussion since GST has had a huge impact on all businesses in the country, ever since it has come into effect in India, including the logistics transport and shipping industry. An official from the GST department talked in-depth about how GST can revolutionise the truck and tyre industry. Other sessions included discussions on lubricants, refrigeration solutions in the cold supply chain, fuel efficient tyres, etc. Some of the notable speakers included Mr. Sanjay Jain (Indian Oil), Mr. Pankaj Mehta (Carrier Aircon), Mr. Ishvar Dhokai (ICEMAKE), Mr. Rajeev Gupta (Jindal Stainless Steel), amongst others. The venue was packed to its capacity because of the presence of the big shots of the industry and local population interested to understand the state of the truck, trailer, and tyre industry. Industry experts and newbies got a chance to exchange ideas and network during the 3-day long event. IT solution providers were able to get the most of this expo with their innovative and practical products for the companies in the truck, trailer, and tyre business. The software solutions such as the ERP software have specifically been proven to be great for the truck, trailer, and tyre companies. The ERP software allows the data to be centralised making it easy for the company employees to access it even if the company has multiple locations in the country. It also helps the company save time and money since the company can manage inventory and accounting operations easily. The biggest reason ERP software has gained popularity in recent times is that the IT companies have already updated it for GST. The GST calculation feature makes ERP software one of the easiest ways to manage their taxes. One of the panelists rightly commented how the IT sector can play a pivotal role in transforming this sector. He claimed that the IT sector is just getting warmed up and has the capacity to provide solutions to the pressing problems of this sector.